Sarah Nader - snader@shawmedia.com Chole Haegele, 16, of Cary poses for a portrait in front of children's clothing and toys she helped collect at Cary Grove Adventist fellowship church in Fox Rover Grove Wednesday, Nov. 1, 2017. Haegele is organizing a Kid's Community Closet for parents to shop for free on Nov. 12 at the church. 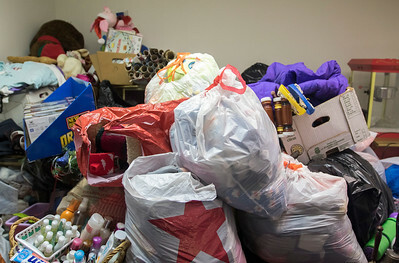 Sarah Nader - snader@shawmedia.com A view of children's clothing and toys collected at Cary Grove Adventist fellowship church in Fox Rover Grove to give parents the chance to shop for free on Nov. 12 at the church. 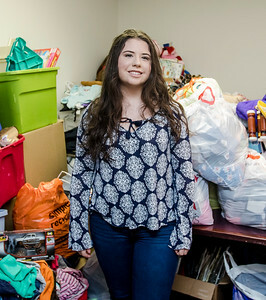 Chole Haegele, 16, of Cary poses for a portrait in front of children's clothing and toys she helped collect at Cary Grove Adventist fellowship church in Fox Rover Grove Wednesday, Nov. 1, 2017. 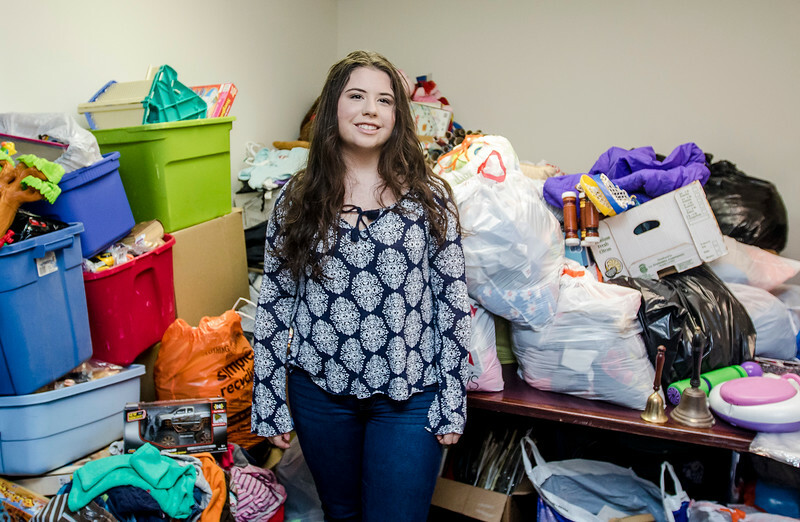 Haegele is organizing a Kid's Community Closet for parents to shop for free on Nov. 12 at the church.